BJ Sherriff had the privilege to kit out the new influx of 27 Eat Natural pioneer beekeepers. Angela went along to deliver the specially embroidered Apiarist Suits to the keen beekeepers at the Eat Natural event at Lairn’s barn, Oxfordshire. 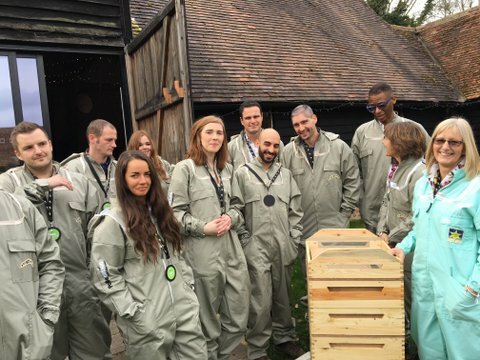 Along with our bee suit, the pioneer beekeepers also receive a unique beehive made from unwanted Eat Natural delivery pallets as well as a Arnia beehive monitoring system which uses an app to receive up to date data direct from the hive every couple of hours. 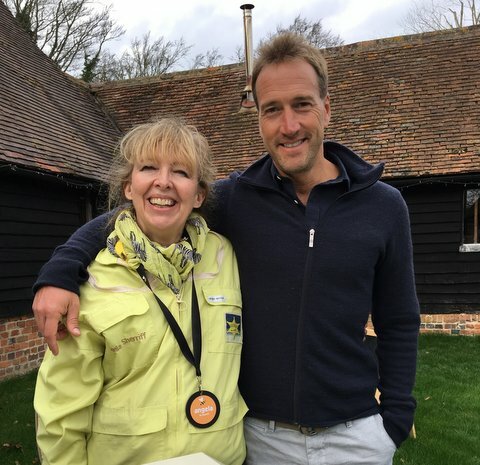 We were welcomed by Jane Moseley the event organiser and Ben Fogle who has taken up beekeeping and is an ambassador for the Eat Natural apprentice scheme. 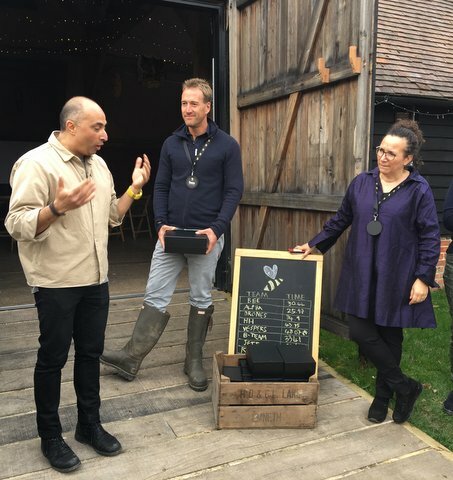 Talks were given about the concept of the specially created hive and monitoring system and under the Spring sunshine we split into teams to see who could assemble a beehive in the fastest time with Ben Fogle giving the prizes. It was a day for learning, laughing and making new friends. and a good time was had by all! This photo was the prize giving at the Eat Natural Event with Ben Fogle handing out the prizes of honey hampers.